Notepad Corner: Workplace Multi-tasking an Advantage or a Disadvantage? Workplace Multi-tasking an Advantage or a Disadvantage? Many people believe that multi-tasking is a great skill that can bring efficiency and productivity. To work on several things at the same time to accomplish urgent tasks is what most people do when they are pressed by time to meet deadlines and complete equally urgent pieces of work. Studies show that when a person tries to multi-task, his focus on doing one task will be detrimental to the performance of another task as we can focus only on one thing at a time. Multi-tasking is explained as frequent task switching, that is doing task 1 then task 2 then back to task 1 then maybe start on task 3. Exchanging one task for another can be done quickly but still it is sequential in nature rather than simultaneous. Cramming is one of the reasons why people in the workplace multi-task. The need to carry out tasks within a limited span of time which most often than not results to quantity with diminished quality work done. Rushing to accomplish several tasks such as talking to a client on the phone while answering emails can wind up to bring mistakes because you cannot effectively engage in the phone conversation while answering an email which also needs your attention. Thus, instead of being efficient it leads to a substandard productivity. 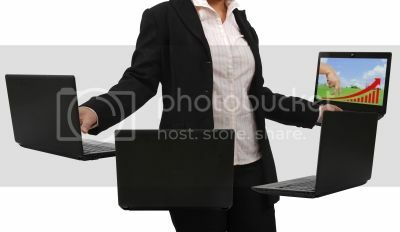 Multi-tasking is good as long as there is balance. Devise a plan by identifying the tasks which need your continuous attention and the tasks that can run on autopilot. Minimize switching to avoid wasting time disengaging the mind from task 1 to attend and orient yourself to another task . The transition may be quick yet sometimes can cause mental block and you tend to forget where were you when you get back to your first task.